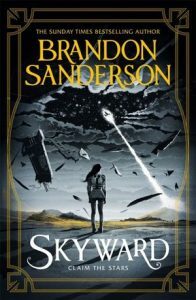 Sci-Fi and fantasy lovers, here are some great reads for you. The Nebula Awards are voted on, and presented by, active members of Science Fiction and Fantasy Writers of America, Inc. With its 1,500 members, many of the leading writers of science fiction and fantasy, it awards the best in sci-fi and fantasy one of major fiction genres. Sequel to ‘If tomorrow comes’. Tracy Whitney never thought she wanted to settle down. With her suave and handsome partner, Jeff Stevens, she’d been responsible for some of the world’s most astounding heists, relishing the danger and intensity of life on the wild side. But there is still one thing missing from Tracy’s perfect life: a baby. At first “going straight” feels like a new adventure. But as the months pass and Tracy’s longed for pregnancy doesn’t happen, she finds herself yearning for the adrenaline rush of the old days. When a mysterious and beautiful stranger enters their lives, Tracy and Jeff’s once unbreakable partnership is suddenly blown wide open. 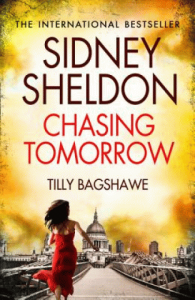 Sidney Sheldon’s ‘Chasing Tomorrow’ makes good reading for a person who is after ‘sitting on the edge of a cliff’ feeling. Just when you have thought that you have crossed an escarpment, there is already another one lined up. The cleverly crafted heists with generous dozes of suspense, revenge and breathtaking twists are a delight to read. I would strongly recommend this book not only because it is gripping, but also because it is so full of passion that you fall in love with the characters in this book. 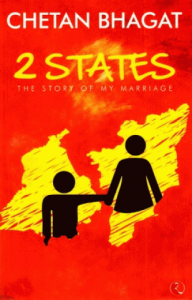 This book by Chetan Bhagat vividly portrays the struggles of many young people caught in inter-caste marriages in India. In a country, where love marriages are frowned upon and arranged marriages are the norm, Chetan’s hilarious depiction of the trials and tribulations faced by Krish & Ananya is a treat for the readers. Chetan’s style of writing is commendable in that he has the knack to get down to the character’s level. Even non-writers get inspired and motivated by his style. So turn to Chetan’s books if you want to read something that is easy to comprehend, hilarious from the start to finish. To sum up, his books are filled with all the essential ingredients that make a great novel. When an American cult moves to the Gold Coast, freelance journalist Scout Davis’s investigative antennae start quivering. She sets out to expose the cult’s bizarre practices, but when she learns the identity of a recent recruit, her quest becomes personal. And dangerous. 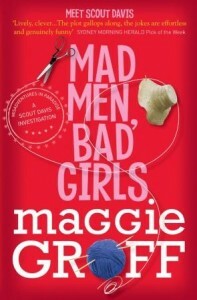 Light easy read with quirky characters. Ending was too rushed and predictable and ended too neatly. Too many story-lines happening, too many characters, no real depth, no real development of characters, too busy. Characters were likeable. Good if you like a quirky sleuth story. Not enough of a hook to read the second series. I am Pilgrim by Terry Hayes – a gripping book about terrorist thread, and appalling crime against humanity. Lost and found by Brooke Davis – three very different people, a kid, a young woman and an oldman, in searching what they lost. Year zero: a history of 1945 by Ian Buruma – what happened then? When you read it you know it still makes impact today. Hopefully that will give you a break from a week long hardwork. Happy reading.